I figure I know 1950s Rock ‘n’ Roll about as well as any guy my age. After all, it’s the music that I grew up with. 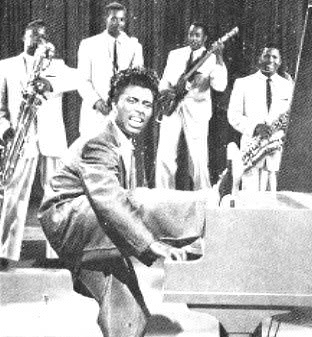 From The King (Elvis Presley) to The Killer (Jerry Lee Lewis) to every Carl Perkins, Chuck Berry and Little Richard tunes in between, those were the songs that my dad — who still has an old vinyl record holder with “Go Cat Go” scrawled on the side — blasted at home every evening during my youth. Because of his love for the music of that era, I can tell you that it was Cleveland disc jockey Alan Freed who coined the term “Rock ‘n’ Roll” in 1951, that Philadelphia DJ Joe Niagara was all the rage in 1957 spinning records at WIBG (pronounced Wibbage) and that Jerry Lee Lewis’ cousins are Mickey Gilley and Jimmy Swaggart. I could probably even do the “Duck Walk” if you really wanted me to. My father, now in his 60s, still claims on a regular basis that he’s living in the ’50s. And that was why five years ago this week, when I was features editor at The Daily Times in Ottawa, Ill., it was such a treat when my colleague, reporter Dan Churney, dug up a golden nugget of Rock ‘n’ Roll history in tiny Spring Valley (105 miles southwest of Chicago) that we were able to share with our readers. 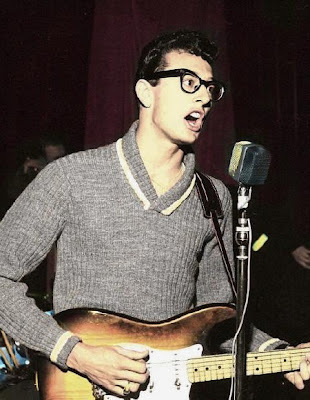 As you may have already heard, 50 years ago today — Feb. 3, 1959 — was “The Day The Music Died,” when Rock ‘n’ Roll legends Buddy Holly, Ritchie Valens and J.P. “The Big Bopper” Richardson perished in a plane crash in an Iowa cornfield. Many people know that at the time of the fatal accident the trio was en route to its next gig in Moorhead, Minn. But not many know that after that, they were scheduled to visit Spring Valley. And it’s there where, as you can read here, memories — and a faded newspaper advertisement — of the doomed trio still live on. I had no idea about that. You’d have thought growing up in Ottawa I would have heard about this. My college rock and roll band played several shows in tiny Spring Valley, IL back in the day. What an eerie, interesting connection. (Kind of).